Vendetta Mining Corp. (TSX-V: VTT) is pleased to announce that it has entered into a non-binding term sheet for a proposed financing transaction with Nebari Holdings LLC. The proceeds of the proposed financing are planned to be used to pay the final Pegmont Lead-Zinc property payment of A$3,000,000 and in doing so complete the Company’s acquisition of a 100% interest in the Pegmont Lead-Zinc project. Michael Williams, Vendetta’s President and CEO commented “Upon completion, this financing will secure the balance of the 100% acquisition of the Pegmont Project while the recently announced private placement will provide the Company with sufficient working capital to execute the Company’s goals for the next twelve months. We would like to thank Nebari for aligning with our corporate objectives to the satisfaction of both parties. Nebari will lend Vendetta the principal amount of US$2,556,818 for a term of 24 months. Interest is calculated at 6% plus 3-month LIBOR (currently 2.6%), with a floor of 2.5%. Interest will amortise for the first six months, following that cash repayment “holiday, Vendetta can elect to pay cash interest between 50% and 100% of the interest quarterly, with any balance being capitalised and added to the principal amount of the loan, payable upon maturity. Vendetta can repay the loan with any accrued interest in whole or in part at any time without penalty. Upon repayment of the loan a repayment bonus will be due Nebari equal to 20% of the funded amount indexed to the increase in market capitalisation. The transaction is subject to Nebari completing confirmatory due diligence to their satisfaction, TSX-V exchange approval. The loan will be secured against the Companies’ assets. Nebari Holdings, LLC is an investment firm based in New York City focused on natural resources and special situations. The organisation is headed by an experienced team of mining professionals with experience working at organizations such as Glencore/Xstrata and Rio Tinto as well as finance professionals with experience from JPMorgan, Perry Capital and McKinley Capital. Pegmont is situated in the Mount Isa – McArthur Mineral Province, which hosts one of the world’s richest endowments of lead-zinc-silver mineralization, including several world-class lead-zinc-silver mines. The results of a Preliminary Economic Assessment on Pegmont were released by the Company on January 28, 2019 (see Vendetta news release dated January 28, 2019). The PEA outlined a 10-year mine plan that generates a strong economic return with a pre-tax IRR of 32% (after tax 24%) and NPV8% of $201M ($128M after tax) for the base case long term consensus metal prices assumed ($0.91/lb lead, $1.09/lb zinc and $16.50/oz silver). The spot price and exchange rate case demonstrates the strong sensitivity to metal prices with a pre-tax IRR of 37% (after tax 27%) and NPV8% of $249M ($158M after tax), using metal prices as of January 22, 2019 of $0.94/lb lead, $1.25/lb zinc and $15.30/oz silver and US$:A$ of $0.71. The PEA identified further project enhancements and Vendetta has identified several high priority exploration targets. 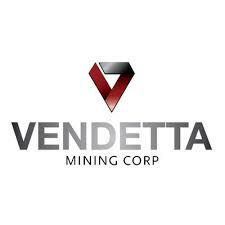 Vendetta Mining Corp. is a Canadian junior exploration company engaged in acquiring, exploring, and developing mineral properties with an emphasis on lead and zinc. It is currently focused on advanced stage exploration projects in Australia, the first of which is the Pegmont Lead Zinc project. Additional information on the Company can be found at www.vendettaminingcorp.com. Peter Voulgaris, MAIG, MAusIMM, a Director of Vendetta, is a non-independent Qualified Person as defined by NI 43-101. Mr. Voulgaris has reviewed and approved the technical content of this press release, and consents to the information provided in the form and context in which it appears. For details of the Pegmont project including the effective date of the resource estimate, quality control measures applied, key assumptions, parameters and methods used to estimate the mineral resources set forth herein and any known legal, political, environmental or other risks that could materially affect the potential development of the mineral resource estimate, please refer to the technical report entitled “Technical Report – Pegmont Mineral Resource Update and PEA” dated effective January 21, 2019 and available under the Company’s profile at www.sedar.com.